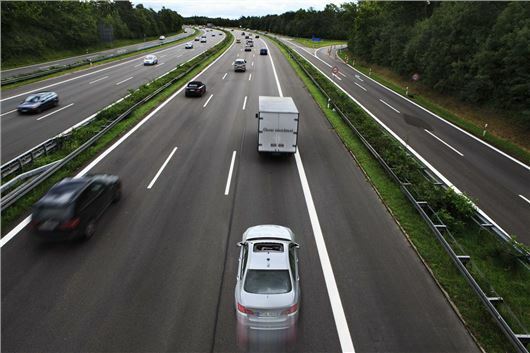 Speeding motorway drivers could face a maximum fine of £10,000, under proposals being considered by the Government. It is understood that the Government wants to reform the penalties that can be imposed by magistrates and speeding motorists could see fines quadrupled as part of widespread reforms. As well as hitting motorway drivers with maximum fines of £10,000, dual carriageway drivers and A road users could face penalties as high as £4000. Justice Minister Jeremy Wright said: “Financial penalties set at the right level can be an effective way of punishing criminals and deterring them from further offending. "Magistrates are the cornerstone of our justice system and these changes will provide them with greater powers to deal with the day-to-day offences that impact their local communities," he added. The government collected a record amount in fines in 2012-13, with more than £280 million taken. The proposed changes would see motoring fines dramatically increased, with motorists who ignore red traffic lights or caught using their phones being given fines of £4000, up from £1000 at present. However, any changes in legislation would first need to be raised in Parliament and there are no plans for any such debates at present. • The Level 1 fine increase from £200 to £800. • Level 2 increase from £500 to £2000. • Level 3 increase from £1000 to £4,000. • Level 4 increases from £2500 to £10,000.